Marc and Louis Ryckman's latest Yeah Baby Powered by BoaTEC is a Welbourn 50, which was the winner of IRC Division 1 in the 2013 Sydney Gold Coast Yacht Race. The core of their crew have been sailing together for many years with multiple Rolex Sydney Hobart and Sydney Gold Coast Yacht Race campaigns under their belt. 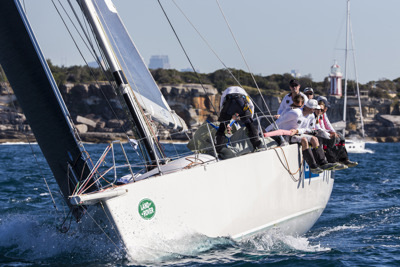 Their yacht is the former Heaven Can Wait and is a logical step up for the twin brothers after their previous three boats, a GP 42, a Sydney 38 and a Mumm 36.